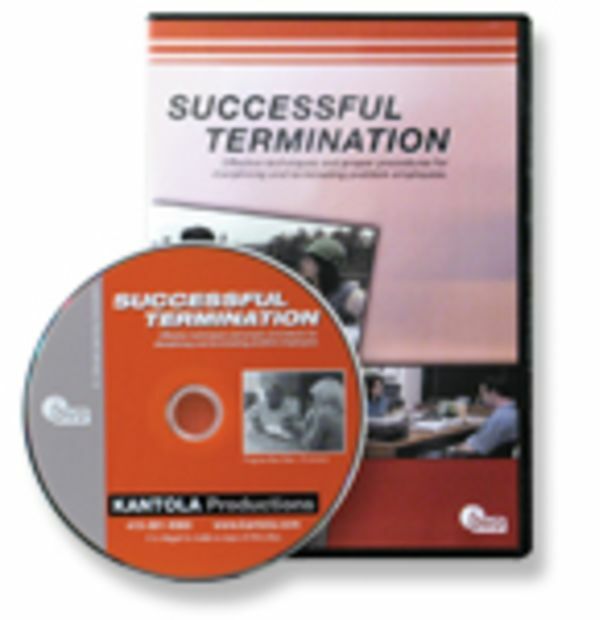 This essential video will help your managers terminate problem employees properly, and in compliance with the law. As important, it will also help managers avoid terminations, by teaching performance management techniques that can help problem employees to improve. Managers and supervisors will learn to set expectations for job performance, utilize job descriptions and performance management, institute progressive discipline for problem employees, and dismiss employees fairly and legally. Terminating employees can be the hardest part of management. This video will help managers perform this difficult task better, and it will help them comply with key employment laws. Don't make the mistake of firing someone in the heat of the moment. Verbal and written warnings make it clear that there is a serious problem. Keep discipline meetings constructive and respectful. This DVD is 39 minutes.